“Contract Commencement Date” means the date the contract comes into existence. “Contract Price” means the monetary consideration stated in the Proposal Document for the sale of the Goods to the Customer. Where no proposal document has been produced, the contract price will instead refer to the monetary consideration specified in the Final Quotation. “Proposal Document” means the document attached to these terms and conditions or referring to these terms and conditions in which we specify the Goods (and/or Services) to be provided to you. “Final Quotation” means the quotation which has been accepted by the customer. “Invoice Due Date” means the date 30 days after the Company’s invoice date when the invoice must be settled in full. “Services” means any Goods forming the subject of this Contract including parts and components of or materials incorporated in them. The Company shall provide Services to the Customer on a Business Day during Normal Working Hours (other than in an emergency where the Company has agreed to provide the Services to the Customer not on a Business Day and/or outside Normal Working Hours) in accordance with the Proposal Document or the Final Quote and otherwise subject to these conditions. Any changes to the Services or these conditions must be agreed in writing between the Company and the Customer. Should the Customer wish to make any changes to the Services then the Customer must notify the Company of such changes in writing. The Company shall, at its sole discretion, confirm to the Customer as to whether such changes are acceptable or not. The Customer shall be liable for the Services already provided to the Customer and for any additional Services and changes to the Services. These conditions (together with the terms, if any, set out in the Proposal Document or the Final Quote constitute the entire agreement between the parties, supersede any previous agreement or understanding and may not be varied except in writing between the parties. All other terms and conditions express or implied by statute or otherwise, are excluded to the fullest extent permitted by law. The Company reserves the right to review the cost of its services annually and therefore the Contract Price may be subject to change at any time in accordance with the cost of living index. The Customer will be notified at least one month in advance of any changes to the Contract Price. The Contract Price and any charges payable in respect of Services provided to the Customer (together with any applicable VAT and without any set-off or deduction under any circumstances) shall be paid within a period of fourteen days commencing on the date immediately following the date of the Company’s invoice unless credit terms have been agreed in advance. For the avoidance of doubt, unless otherwise stated, the Services do not include redecoration of the Customer’s premises following delivery of the Services. Unless otherwise agreed, we cannot be held responsible for any costs incurred by you in relation to laying, relaying or cleaning carpets, redecorating, concealing cables, plastering, building works or carpentry work after the installation of the Goods. If payment is not made by the due date, the Company shall be entitled, without limiting any other rights it may have, to charge interest on the outstanding amount (both before and after any judgment) at the rate of 5% above the base rate from time to time of the Royal Bank of Scotland plc from the due date until the outstanding amount is paid in full. The company reserves the right to review prices annually and may be subject to change at any time in accordance with the cost of living index if deemed necessary by the company. 9.1 The Customer shall ensure that the premises where the Company are to deliver the Services are safe and the Customer shall provide reasonable facilities at the disposal of the Company for the purpose of the delivery of Services and shall assist the Company by locating and having ready all equipment in one at the nominated premises for the delivery of the Services. Should there be any structural defects, infestation of any kind, site conditions not appropriate for the delivery of the Services or other material defect at the Customer’s premises where the Services are to be delivered, the Company shall notify the Customer and the delivery of the Services shall be postponed until the Customer (at the Customer’s cost) remedies such defect(s). 9.2. In the event of Services being provided beyond those specified at the time of the original instructions, the Company reserves the right to make an additional charge for such Services. Where possible, an estimate for such Services shall be provided in advance. 9.3. The Customer undertakes to return all documentation required by the Company in a timeous manner. In the event of their failing to do so, the Company reserves the right to cancel the Contract. 10.1. ‘No fixed term’ contracts. Where no end date is specified the Contract shall be considered to have no fixed term. Contracts that have no fixed term and shall continue until either party terminates the Contract on giving not less than six months’ written notice to the other party. 10.2 ‘Fixed term’ contracts. Contracts with a specified fixed term shall automatically renew on the contract end date unless either party gives not less than three months’ written notice to the other party prior to the contract end date of their intention not to renew the Contract. 11.1 The Company accepts no responsibility for any failure, negligence, or actions of a third party. 11.2 Risk in any materials and/or equipment supplied by the Company to the Customer shall pass to the Customer immediately on delivery of such materials and/or equipment to the Customer. Notwithstanding the passing of risk, title in such materials and/or equipment shall remain the sole and absolute property of the Company until the Contract Price has been paid by the Customer to the Company in full. 11.3 The Customer agrees to indemnify the Company, its directors, employees and agents against any cause of action resulting from the provision of services of any kind including but not restricted to administrative services, and in addition, any cause of action arising from the Customer’s actions or failure to act, either personally or on behalf of the Company. 11.4 The Company warrants to the Customer that the Services will be provided using reasonable care and skill in a good and workmanlike manner and, as far as reasonably possible in accordance with the Multi Service Agreement, the Service Charter and instructions as agreed between the Company and the Customer. 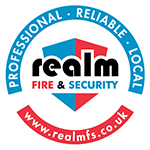 The Company guarantees the Services against faulty materials and workmanship but where the Company supplies, in connection with the provision of the Services, any information, product and/ or equipment provided by a third party, the Company does not give any warranty, guarantee or indemnity in respect of such information, product and/or equipment. For the avoidance of doubt all goods (including parts supplied and fitted to equipment not owned by the Company) shall remain the property of the Company until full and cleared payment is received by Company. 11.5 The Company shall have no liability to the Customer for any loss, damage, costs, expenses or other claims for compensation arising from any materials or instructions supplied by the Customer which are incomplete, incorrect, inaccurate, illegible, out of sequence, or in the wrong form, or arising from their late arrival or non-arrival, or any other fault of the Customer and except in respect of death or personal injury caused by the Company’s negligence, or as expressly provided in these conditions. 11.6 The Company shall not be liable to the Customer by reason of any representation (unless fraudulent), or any implied warranty, condition or other term, or any duty at common law, or under the express terms of the Contract, for any loss of profit or any indirect, special or consequential loss, damage, costs, expenses or other claims (whether caused by the negligence of the Company, its servants or agents or otherwise) which arise out of or in connection with the provision of the Services or their use by the Customer, and the entire liability of the Company under or in connection with the Contract shall not exceed the amount of the Company’s charges for the provision of the Services, except as expressly provided in these conditions or where such limitation is not permitted by law. 11.7 The Company shall use its best endeavours to complete the Services within any period of time specifically agreed in writing between the Company and the Customer but this will not form the basis of the Contract and the Company shall not be liable to the Customer or be deemed to be in breach of this Contract by reason of any delay in performing, or any failure to perform, any of the Company’s obligations in relation to the Services, if the delay or failure was due to any cause beyond the Company’s reasonable control. 11.8 The Customer will save, defend and hold harmless the Company against any and all loss, damages, liabilities, claims, judgments, decree awards, actions, costs and expenses arising in connection with the performance or non-performance of all obligations and liabilities required by law to be performed and borne in respect of any and all of the Services supplied to the Customer pursuant to this Contract, including without limiting the generality of the foregoing, obligations and liabilities in connection with the termination of the Contract. 12.1 Notwithstanding condition 9, either party to this Contract may (without limiting any other remedy) at any time terminate this Contract by giving written notice to the other party if the other party commits any breach of these conditions and (if capable of remedy) fails to remedy the breach within thirty days after being required by written notice to do so. 12.2 Either party may at any time terminate the Contract immediately by giving written notice to the other if the other goes into liquidation, or (in the case of an individual or firm) becomes bankrupt, makes a voluntary arrangement with his creditors or has a receiver or administrator appointed. The contract will be deeded to be terminated on the service of said notice. 12.3 Subject at all times to our rights to terminate the Contract as set out in these terms and conditions, non-fixed term contracts shall start on the Contract Commencement Date and shall continue and until terminated by either party giving the other at least 6 months’ prior written notice of termination. Fixed term contracts shall start on the contract commencement date, and shall automatically renew on the contract end date, unless intention to terminate the contract is received by the client a minimum of three months before the contract end date. 12.4 In the event that either party terminates the contract for any of the reasons set out above, all sums due to us or which may become due to us by you under the Client Agreement shall become immediately due and payable. 12.5 In the event that monthly payments are due said payments shall continue to be due until the expiry of the notice period. 12.6 The order can be cancelled at any time within the standard 14 day cooling off period, thereafter a cancellation fee of 10% on total order value will be charged. 14.1 No failure or delay by either party in exercising any of its rights under the Contract shall be deemed to be a waiver of that right, and no waiver by either party of any breach of any contract by the other shall be considered as a waiver by either party of any breach of the Contract or shall be considered as a waiver of any subsequent breach of the same or any other provision. 15.1 If any provision of these conditions is held by any competent authority to be invalid or unenforceable in whole or in part, the validity of the other provisions of these conditions and the remainder of the provision in question shall not be affected. 16.1 The provisions of these terms and conditions shall be governed by and construed according to the law of Scotland and the parties hereto propagate the exclusive jurisdiction of the Scottish courts for any disputes arising from this contract. “Goods” means any Goods forming the subject of this Contract including parts and components of or materials incorporated in them. The payment of the Goods by the Customer. 2.2 These conditions shall be incorporated in the Contract to the exclusion of any terms or conditions stipulated or referred to by the Customer. 2.4 We shall supply and you shall purchase from us the goods and/or services for the price subject to the terms of the Contract. This shall be to the exclusion of all previous agreements and understandings between us and you in respect of the supply of the Goods and/or Services. Any variation to the contract must be agreed in writing between us and you. If you wish to vary the Goods and/or the Services you may request such variation in writing and we will use reasonable endeavours to accommodate such variation (subject to agreement of any cost implications) but shall not be liable to you if we cannot accommodate such variation for any reason. c. in the case of an account Customer, the Company may, in their absolute discretion, as soon as possible raise a credit to offset the amount invoiced to the account Customer. 3.2 The Company reserves the right to withdraw for sale, amend the price and specification of any Goods displayed on the Company’s premises, its website, its brochures and/ or refuse to supply Goods to any party at its discretion. 4.1 The quoted price of the Goods provided on the invoice, Final Quotation or Proposal Document shall be exclusive of VAT. VAT is chargeable on the price of the Goods. 4.2 The Company shall supply the Goods and the Customer shall pay the Company the Contract Price for the Goods on the terms and conditions contained in this Contract. 4.3 Subject to any special terms agreed, the Customer shall pay the Company’s Contract Price plus any charges for installation of the Goods, carriage and insurance as set out in the Company’s invoice and any additional sums which are agreed between the Company and the Customer for the supply of the Goods or which, in the Company’s sole discretion, fall due. 4.4 The Company shall be entitled to vary the Contract Price from time to time by giving not less than one months’ written notice to the Customer. 4.5 The Company shall be entitled to invoice the Customer following the confirmation of the Customer’s order or at other times as agreed between the Company and the Customer. 4.6 The Contract Price and any applicable charges for the installation of the Goods, carriage and insurance together with any additional sums payable shall be paid by the Customer (together with any applicable VAT and without any set-off or other deduction) within thirty days of the date of the Company’s invoice. 4.7 If payment is not made by the due date, the Company shall be entitled, without limiting any other rights it may have, to charge interest on the outstanding amount (both before and after any judgement) at the rate of 5% above the base rate from time to time of the Royal Bank of Scotland plc from the due date until the outstanding amount is paid in full. 4.8 Time of payment by the customer of the contract price shall be of essence to the Contract. d. require you to pay 6 months’ fees in advance, as security for your ongoing observance of the terms of the Client Agreement. 4.10 Where payment is made by means of cheque we shall be deemed not to have received payment until such cheque has been honoured on first presentation. 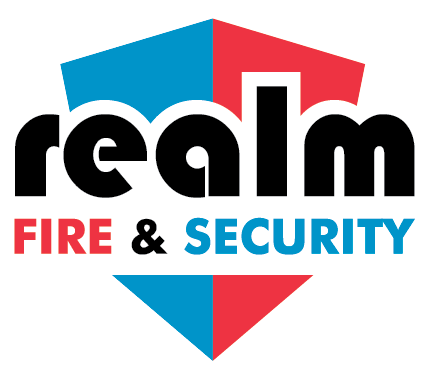 4.12 In the event of cancellation of a place on a Training Course with Realm Fire and Security Ltd. you will be entitled to a 100% refund if the cancellation is submitted within 24 hours of the booking payment. You are entitled to a 50% refund for 7 days after making the booking payment. Following this time period, no refund is available. 5.1 Unless the Customer informs the Company that it wishes to collect the Goods, delivery of the Goods shall be to the address provided to the Company by the Customer at the time of ordering the Goods (hereinafter referred to as “The Site”) and the Customer shall make all the necessary arrangements to take delivery of the Goods whenever they are tendered for delivery. The Goods will be delivered to the Site once the Site is deemed suitable (by us alone in our sole discretion) to receive the Goods. 5.2 Immediately after delivery of the Goods to the Customer, risk in the Goods will pass to the Customer. In the unlikely event that the Customer has not received all the Goods that do not require installation by the Company within five Business Days of the date of delivery (or where the Customer has requested a delayed despatch, within five Business Days of the requested despatch date), the Customer must notify the Company immediately. 5.3 Any dates quoted for delivery of the Goods are approximate only and we shall not be liable to you for any delay in delivery of the Goods howsoever caused. Time for delivery shall not be of the essence of the contract. 5.4 The Company shall not be liable for any loss, costs, damages or expenses incurred by the Customer or any third party arising directly or indirectly out of any failure to meet any estimated delivery date. store the Goods until actual delivery and charge you for the reasonable costs of storage (it will be your responsibility to insure the Goods in this circumstance). 5.6 The Customer is required to inspect the Goods on receipt and notify the Company in writing of any defects or complaints within 3 days of receipt of the Goods. Should the Customer fail to give such notice within the 3 days the Customer shall be deemed to have accepted that the Goods are in all respects in accordance with the Contract and the Customer shall indemnify the Company against any damages the Company may be required to pay to any party whether by court order settlement or otherwise arising from a defect in any of the Goods. 6.1 Notwithstanding the passing of risk in accordance with condition 5.2, title in the Goods shall remain the sole and absolute property of the Company and title to and legal ownership of the Goods shall not pass to the Customer until the amount due for the Goods (including interest and costs) has been paid in full. for the purpose of condition 6.2.1 and the purpose of inspecting the Goods, enter any premises of or occupied by the Customer. 7.1 If the Customer has notified the Company of a problem with the Goods, the Company will (at the Customer’s option) either make good any shortage or non-delivery; replace or repair any Goods that are damaged or defective upon delivery; or refund to the Customer the amount paid by the Customer for the Goods in question. The Company will not be liable to the Customer for any loss of profits, administrative inconvenience, disappointment, indirect or consequential loss or damage arising out of any problem in relation to the Goods and the Company shall have no liability to pay any money to the Customer by way of compensation other than any refund the Company may make under these conditions. This does not affect the Customer’s statutory rights as a consumer, nor is it intended to exclude the Company’s liability to the Customer for fraudulent misrepresentation or for death or personal injury resulting from the Company’s negligence. 7.2 The Company shall have no liability to the Customer for any loss, damage, costs, expenses or other claims for compensation arising from any information, data or instructions supplied by the Customer which are incomplete, incorrect, inaccurate, illegible out of sequence or in the wrong form, or arising from their late arrival or non-arrival, or any other fault of the Customer. 7.3 The Company shall have no liability of whatever kind to the Customer for any defects to the Goods resulting from wear and tear, accident, improper use or use by the Customer except in accordance with the instructions or advice of the Company and/or the manufacturer of the Goods or for any Goods which have been adjusted, modified or repaired except by the Company and for any physical damage to the Goods caused by impact, abrasion or cleaning of the Goods with a non-proprietary chemical. 7.4 The Company shall have no liability to the Customer for any defects or loss, damage, costs, expenses or other claims for compensation arising from any improper or inappropriate use of the Goods by the Customer or the Customer’s failure to follow any instructions for use of the Goods on or accompanying the Goods. 7.5 The Company will not be liable for any delay or failure to perform any of its obligations if the delay or failure results from events or circumstances outside its reasonable control, including but not limited to, acts of God, strikes, lock outs, accidents, war, fire, breakdown of plant or machinery or shortage or unavailability of raw materials from a natural source of supply, and the Company shall be entitled to a reasonable extension of its obligations. 7.6 The Company will not be liable for actions of a third party or to any third party. 7.7 The total liability of the Company’s in respect of the provision of Services shall not exceed the Contract Price except where such limitation is not permitted by law. 8.1 The Company may terminate this agreement forthwith if the Customer fails to pay any sums due to the Company within 30 days said sums fall due. The contract will be deemed to be terminated on the service of notice to the Customer. 8.2 Either party may (without limiting any other remedy) at any time terminate the Contract by giving at least 2 months written notice, to the other if the other commits any breach of these conditions and (if capable of remedy) fails to remedy the breach within thirty days after being required by written notice to do so. 8.3 Either party may at any time terminate the Contract immediately by giving written notice to the other if the other goes into liquidation, or (in the case of an individual or firm) becomes bankrupt, makes a voluntary arrangement with his creditors or has a receiver or administrator appointed. The contract will be deemed to be terminated on the service of said notice. 8.4 In the case of annual contracts. Subject at all times to our rights to terminate the Contract as set out in these terms and conditions, the Contract (including any maintenance services specified in the relevant Proposal Document or Final Quote) shall start on the Contract Commencement Date and shall continue for an initial period of 12 months (the “Initial Term”) and thereafter for automatically recurring periods of 12 months at a time (each a “Renewal Term”), unless and until terminated by either party giving the other at least 6 months’ prior written notice of termination. If any notice of termination is given less than 6 months’ before the expiry of the Initial Term or any Renewal Term, such notice shall be invalid and the Contract will renew for the remainder of the notice period before terminating. 8.5 In the event that either party terminates the contract for any of the reasons set out above, all sums due to us or which may become due to us by you under the Client Agreement shall become immediately due and payable and you shall return to us such parts of the Goods that are not then owned by you. If you fail to do so immediately, we shall be entitled to enter upon any premises of yours (including the Site) or those of any third party where the Goods are stored and repossess the Goods. 8.6. In the event that monthly payments are due said payment shall continue to be due until the expiry of the notice period. These conditions constitute the entire agreement between the parties, supersede any previous agreement or understanding and may be varied by the Company at any time. All other terms and conditions, express or implied by statute or otherwise, are excluded to the fullest extent permitted by law. 9.3 Any notice to be served by the Company on the Customer shall be deemed to have been duly served if sent by first class post in a prepaid envelope to the Customer at his last known address. Any notice served by first class post shall be deemed to have been served five days after posting. 9.4 Any notice to be served on the Company shall be served by sending the same first class in a prepaid envelope to the Company’s place of business as stated in the Contract Any notice served by first class post shall only be deemed served once the Customer has received an acknowledgement from the Company. The Company’s acceptance of such notice of termination will also be submitted in writing, stating the day, month and year of termination. No failure or delay by either party in exercising any of its rights under the Contract shall be deemed to be a waiver of that right, and no waiver by either party of any breach of any condition of this Contract by the other shall be considered as a waiver of any subsequent breach of the same or any other condition. 9.6 If any provision of these conditions is held by any competent authority to be invalid or unenforceable in whole or in part, the validity of the other provisions of these conditions and the remainder of the provision in question shall not be affected. 9.7 Expressions in the singular include the plural and the masculine include the feminine and vice versa. The provisions of these terms and conditions shall be governed by and construed according to the law of Scotland and the parties hereto propagate the exclusive jurisdiction of the Scottish courts for any disputes arising from this contract.